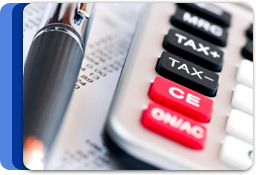 Welcome to L J Hawkins & Associates, Certified Practising Accountants. Based for over 30 years in the Heathmont and Boronia areas we have built a reputation for professional, friendly, efficient and cost effective services. We specialize in helping small business (partnerships, companies & trusts), self managed superannuation funds and individuals with their taxation, accounting and business service requirements. Our many clients come from a wide range of industries and we take pride in our approach of offering to all our clients a professional and personalised service – all our clients are important to us. We are members of CPA Australia and the National Tax and Accountants' Association. Les Hawkins originally commenced practice on part time basis 30 years ago operating from his home in Boronia with a team of part time accountants working of an evening doing home visits. Thus he can personally relate to the difficulties confronting small business. Two years later he took over a small practice in Ringwood where it operated successfully for 18 years and due to the construction of the Eastlink freeway relocated to our current Heathmont address. Les, as the principal of the firm, has over 35 years experience in accounting, taxation, financial and business management. Apart from keeping on top of the demands of running the practice, Les’ burning desire to get on top of and master the game of golf. Tracey joined the practice over ten years ago and she has many years experience in taxation and business services. Tracey has worked previously in both small and medium sized firms and in industry and has a wealth of experience in all areas of business services. Janet & Dianne job share our administration and reception roles and it is their friendly voices that will first greet you over the phone. Both Janet & Dianne have many years experience at the efficient running of organizations and keep our office running smoothly.